3M Paintshop Respirator 4251 Fly Mask for paint, resin and dust environs. The 3M 4251 Fly Mask removes most fumes before reaching you and is a very comfortable mask to wear. This mask will need replacing regularly dependent on the amount of usage – good for at least 30 hours protection. Offers protection against organic vapours / particles (water and oil based). Assigned and Protection Factors for organic vapours 10 x OEL or 1000 ppm, which ever is the lowest and 10 x OEL for particulates. Nominal Protection Factor 10 x OEL or 1000 ppm, whichever is the lowest for organic vapours and 10 x OEL for particulates. A great medium term protection solution for gas, dust and fumes. 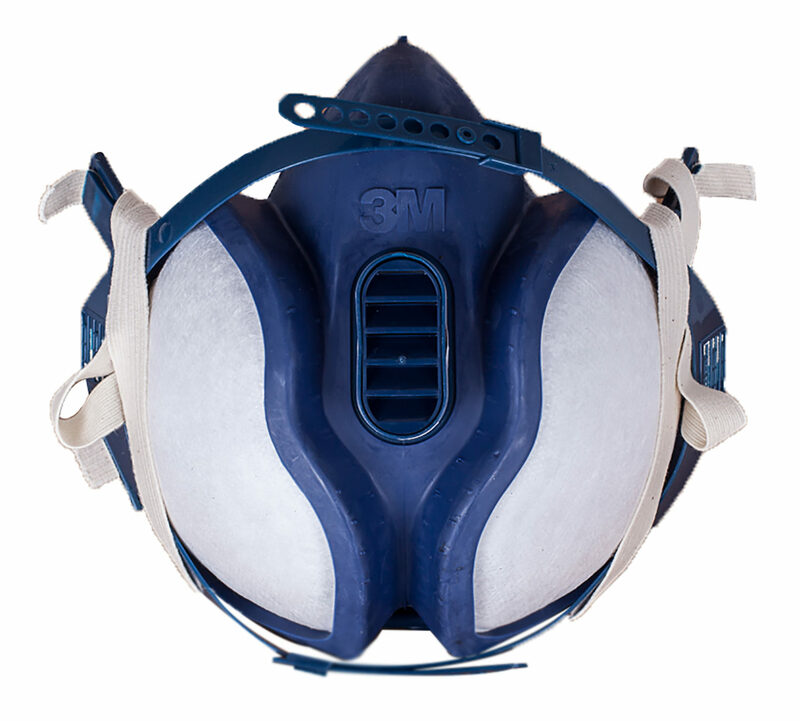 The 3M 4251 Fly Mask removes most fumes before reaching you and is a very comfortable mask to wear. Unlike the North 7700 Mask with its replaceable cartridges this mask will need replacing regularly dependent on the amount of usage. Offers protection against organic vapours / particles (water and oil based). Assigned and Protection Factors for organic vapours 10 x OEL or 1000 ppm, which ever is the lowest and 10 x OEL for particulates. Nominal Protection Factor 10 x OEL or 1000 ppm, whichever is the lowest for organic vapours and 10 x OEL for particulates. A great medium term protection solution for gas, dust and fumes. Good for 30 hours protection.